Crown Roofing & Masonry Co. Replacement of challenging roofs and fixing stubborn complex leaks IS OUR PASSION! All projects are managed by the owner from beginning to the end, including initial evaluation, project management and active supervision. Our labor force consists of hands-on managed subcontractors (or often subcontractor’s selected crew members). Requests for our service undergo an initial pre-evaluation, and regrettably, some may be declined, some may carry an up-front charge, and others may be offered for free. Please ask for details. We apologize for any inconvenience. Nombach Roofing and Tuckpointing is a family owned and operated business founded in 1969 by Hans Dieter Nombach. Hans was a master shipbuilder from Holland who fell on hard times following World War II. Needing to support his family, he took flight to America and earned a job as a skilled carpenter building truss and cathedral roofs. By 1969 he ventured off and formed his own company. 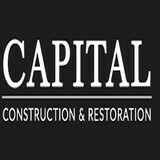 For over 40 years his family has provided quality craftsmanship to the Chicagoland area. With over 20,000 homes serviced including commercial, industrial and institutional roofs, we have the unparalleled experience and support staff to get the job done right. Hans Nombach is a strong advocate of safe work practices, equal employment and great customer service. Dedicated quality in exterior construction, A&D Home Improvement is a full-service construction company. We have been providing an assortment of exterior and construction and remodeling services throughout Chicago and the surrounding suburbs for 10 years. We have acquired numerous satisfied customers over the many years of providing an assortment of home remodeling services to the general public. In fact, A&D Home Improvement currently has an A+ rating with the Better Business Bureau in Chicago. Thus, it is no wonder that when people are looking for a trustworthy and reliable company to assist them with their various exterior home improvement projects they look no further than A&D Home Improvement. Our dedication to providing quality construction services is obvious in the exceptional craftsmanship displayed in our work. Our clients know that they can expect nothing short of the best when using A&D Home Improvement for their exterior home remodeling and construction needs. It is our goal at A&D Home Improvement to provide high quality exterior construction services that people can afford. We understand how important it is for customers to feel valued when searching for a company to perform construction and remodeling on their home. For this reason, A&D Home Improvement offers our customers free estimates so that they can make informed decisions about their home remodeling needs. We also want our customers to know that we are highly dedicated to providing nothing short of exceptional services which is why we have obtained the proper licensing as a general contractor and roofer. Furthermore, all of all technicians are licensed and bonded and we only work with other contractors that are also licensed and bonded to ensure that our customers are receiving the utmost in professional contracting services across the board. A&D Home Improvement is dedicated to providing the exterior and home construction services that the public wants at an affordable price. For over 30 years, the experts at Apex Exteriors have been providing Chicagoland superior customized exterior home services. Whether it’s a simple service repair call for your gutters or roofing, to a complete home improvement renovation, Apex has the professional know-how to get it done right, and done right the first time. Our commitment to high quality products, service and workmanship has earned us a reputation as Chicagoland’s premier home exterior company. We’re a full service home exterior company, providing a one-stop shop for all your home service or renovation needs from siding to gutters to windows and doors installation. At Apex we know that a home renovation project can be overwhelming. Our exterior home service team has years of experience and we make the process easy from start to finish staying within your budget and time frame. No matter what your budget is, Apex has the right solution at affordable prices. We can even help you upgrade the manufacturer’s warranty. Our entire team is dedicated to 100% customer satisfaction, making sure we meet your expectations every step of the way. Working with Apex means hiring professionals with years of experience, detailed knowledge of all types of exterior solutions. Going that extra mile is what we are all about. Our company installs gutter guards, which are made of surgical-grade steel mesh in order to keep out debris, including pine needles, pine cones, bird's nests, leaves, seed pods, and other detritus from the gutter but still allow for the flow of water through the gutter to prevent backup and keep the gutters clear. Springrock also installs gutters, which are integrated with their gutter guard systems to protect the roofing material and siding of the home and prevent leakage, seeping, and other problems that can occur with sub-par gutters and gutter guards. The gutter guards that our company installs have been estimated to last eight times longer than other gutter guards on the market, and do not require removal or re-installation of the current gutters on the home. Visit the website for SpringRock, to learn more about our services. We can schedule a time for your free, no-pressure, no-obligation estimate and consultation. 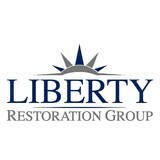 I would be honored to discuss your project with you and give you a quote. Best 4-U Inc. is a roofing and siding company serving the Chicago Metro Area. Located in Wheeling, IL. We are experts in Shingle Roofing, Flat Roofs, Vertical Panels Roofing, Metal Tiles Roofing, Metal Shake Roofing, Metal Shingles, Aluminum Roofing, Slate, Tile Roofing, and Cedar Shake Roofs installations as well as in Siding and Gutter work. 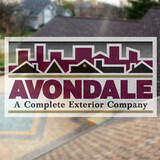 Our business concentrates on residential and commercial roofing and siding. Roofing Aid provides complete roofing services to residential clients across Chicagoland. We specialize in providing custom roofing solutions that are long lasting and cost effective. We stand behind our work 100% and are committed to providing affordable, hassle free roofing services that are professional and reliable. Salvo Architectural Roofing Contractors has been serving the Chicago area for over 30 years. SARC, Inc specializes in providing roofing and architectural metal products for residential homes or commercial projects. We believe that using old world craftsmanship matched with modern techniques produce the highest quality product. Our team is composed of expert roofers Chicago has trusted for many years. We are committed to quality products, excellent service and competitive prices, together with continual research, education and development that yields a fuller, more complete never out-done customer loyalty base. We want to be known as the most respected roofing company in the Chicagoland area. Not because of our large projects, or our sales volume, or even our profitability. We will be known for our team concept, our highly trained and accountable employees, our contributions to the community, our attention to details, and finally our total commitment to excellence. Solidifying a relationship based on trustworthiness and integrity, and working with every customer to deliver their target. A significant belief that efficiency saves time, upkeeps an awesome client base and provides you with a friend in the business. Working together as one team, to achieve one common goal, one day at a time, one roof at a time. To strive daily to keep communication flowing, the most important tool we have to keep our team on the same page. Get in touch with us today! Roofs and gutters are two home elements that, when they do their job, go unnoticed. But when they malfunction, they make their presence known in a hurry — that’s where knowing a good Glenview roofer comes in handy. Hire the right roofing company in Glenview, IL to install, repair and maintain your roof and gutters, and you’ll ensure that these essentials perform at their peak. What do roofing companies in Glenview, IL do? Your Glenview, IL roofing contractor can install a new roof or repair an old one, as well as repair and replace gutters. Good roofers in Glenview, IL should be able to promptly inspect roofs and gutters to assess damage after a natural disaster or other event, and give you an estimate for the necessary roof repair immediately. Some Glenview roofing companies specialize in specific types of roofs, such as tile or metal, so make sure the one you are interested in works with the materials you have or desire. 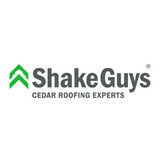 Find a Glenview roofer on Houzz. Narrow your search in the Professionals section of the website to roofing companies in Glenview, IL. If you’re planning a large-scale project, find other professionals on Houzz who can help get the job done. Here are some related professionals and vendors to complement the work of roofing & gutters: General Contractors, Specialty Contractors, Siding & Exteriors, Door Sales & Installation, Garage Door Sales & Installation.